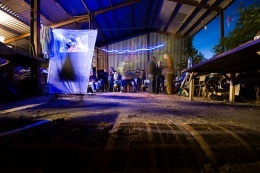 Next BarnCamp dates to be announced shortly. For news & updates about BarnCamp 2017 and other HacktionLab events, sign-up to our low-traffic announcements mailing list*. breakfast, lunch and dinner from Thursday evening to Sunday afternoon are included (9 meals). Note if you're arriving Wednesday be prepared to sort yourself out until the evening meal on Thursday. Food is primarily vegan with some dairy as optional extras. Highbury Farm is a vegetarian farm and the owners request that meat is not brought or cooked on site. There are two pubs in the village for those who really can't cope; we'll probably head down to the local pub for Wednesday evening. 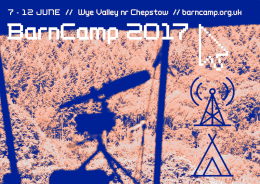 If you're coming, then check out the BarnCamp 2017 Contact page for useful contact information. More in-depth details and notes about the current proposed workshops can be found at BarnCamp 2017 ideas scratchpad page. 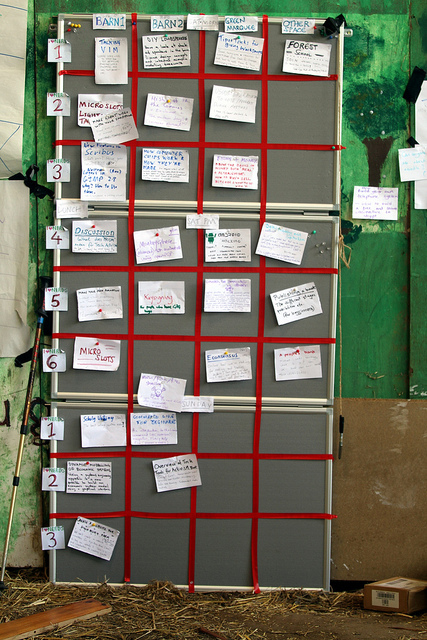 Workshop planning for BarnCamp 2017 is organic and done on-site based on the current workshops proposed at this page . If you've got an idea for a workshop for BarnCamp 2017 drop us an email at barncamp2017 [at] hacktionlab [dot] org. Deadline for payments in advance. If you're wishing to pay £35 or less for BarnCamp, please make sure you make payment by this date. Otherwise, BarnCamp is £40 on the gate. BarnCamp takes place on a beautiful site, but it is a farm on a steep hill, and accessibility can be an issue, so please read our Notes for people with limited mobility or health problems before you consider coming. BarnCamp should be a safe space to all, please read our safe spaces policy. 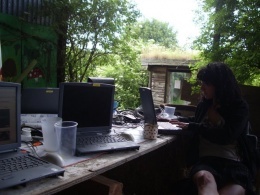 BarnCamp 2015 - the sixth BarnCamp took place between 17th and 21st June 2015 in the Wye Valley. 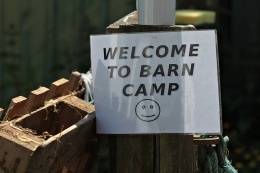 Check out the BarnCamp 2015 page for links to what happened, workshops that took place, notes that were taken, and media produced around the event. 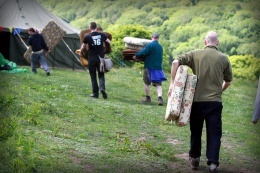 BarnCamp 2011 - the fourth BarnCamp took place between 9 - 12 June 2011 in the Wye Valley. We built upon the success of the previous year, keeping the tech turned down, but also consolidating some of the new projects that hacktionlabbers are involved in, such as Be The Media and Network23.org. This year incorporated more off-grid technology with a repeat of the Wild Food Walk, a workshop of knot making and tools for open collaboration. Here's some photos from the event. BarnCamp 2010 - the third BarnCamp took place between 11 - 13 June 2010 in the Wye Valley. Retitled BarnCamp we focused on a turning down the tech to make it an event accessible to all with workshops including how to forage for food, how to make a slingshot and the ubiquitous how to encrypt your life. Photos, video and audio from BarnCamp 2010. BarnCamp 2009 the second took place between 11 - 14 June 2009 in the Wye Valley on the Wales - England border. BarnCamp 2008 the very first took place between 13 - 15 June 2008, click here to view a slide-show of photos from the weekend. There are more photos posted here (now missing) and this exciting short video too (also now missing). This page was last modified on 22 July 2017, at 08:43.